High performance sound barrier products for every application. With a reduced noise floor within the passenger compartment, stereo sound quality is greatly improved. The audio system will no longer be masked by the drone of low frequency road noise and sonic nirvana can be achieved at lower volume levels. 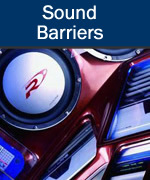 Unlike vibration dampers which convert vibration energy into low level heat, floating barriers place a physical barrier in the path of sound to stop it. 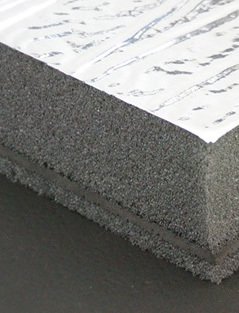 One layer of a floor barrier outperforms over 4 layers of a vibration damper. VB-3 is designed to be used over highly irregular areas of the floorpan such as the transmission tunnel and over the wheel arches. 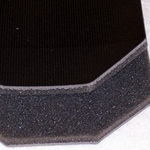 VB-3 consists of two layers of 1/8" neoprene foam that sandwich a lead core. 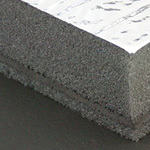 One lightweight layer of VB-3 is equivalent to 4 or 6 layers of a heavy vibration damping sheet. 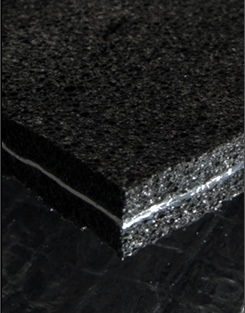 VB-4 is a composite material with a flexible, loaded vinyl mass barrier, and a foam decoupling layer which reduces road noise by impeding the passage of soundwaves. 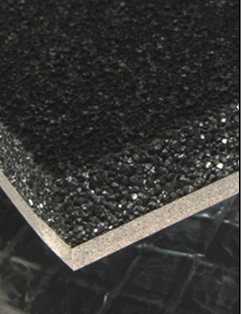 SB-DWB-20R is a decoupled barrier product featuring an open cell foam bonded to a dense, 1lb ft² vinyl barrier. This effective barrier product is available in 90ft² rolls only. 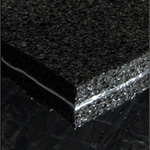 SB-DFB-20R is a decoupled barrier product featuring a closed cell foam bonded to a dense, 1lb ft² vinyl barrier.